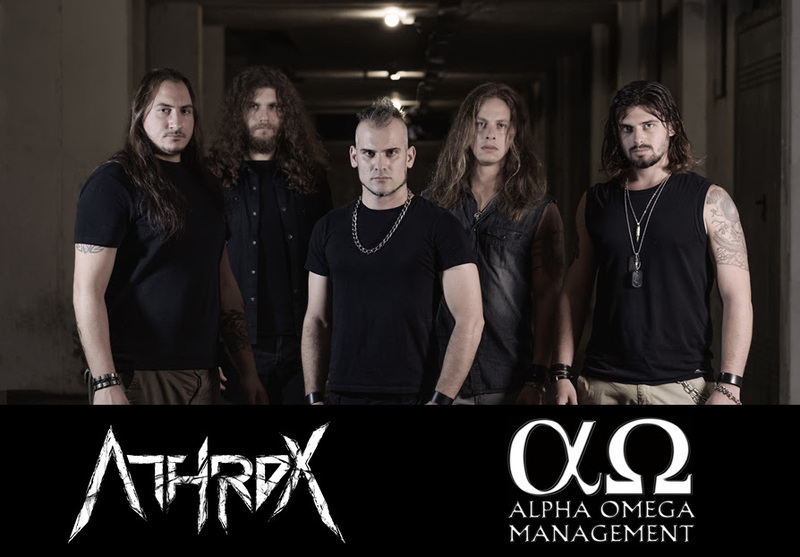 Home > NEWS > ATHROX Sign With ALPHA OMEGA Management! ALPHA OMEGA Management is thrilled to announce the signing of ATHROX! Italian heavy thrash metal act ATHROX released the debut full length “Are You Alive?” in 2016 on Red Cat Records. The band’s second album “Through the Mirror” came out on November 9th 2018 via Revalve Records. The album is about different stories told by a different character through a mirror, talking about the problems of humanity. The “mirror” is the true protagonist of the album: “on the outside we appear almost “perfect” in what we want to show, but then inside we hide anxieties, fears, recondite traumatic experiences that affect our inner self.” ATHROX’s music style is a powerful mixture of heavy metal with thrash and progressive elements which brought the band to a great response from critics and audience. The live activity has led the band to share the stage with great artists like Iced Earth, Armored Saint, Ross The Boss, Phil Campbell and many others.